Celebrating the dynamism of the immigrant Asian women and their stories. 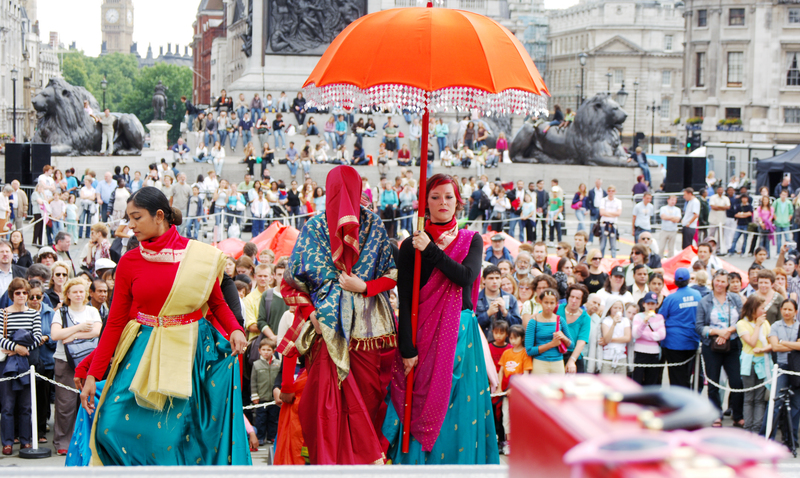 Awaz/Voice was commissioned by Mayor of London for the Trafalgar Square Festival in 2006. 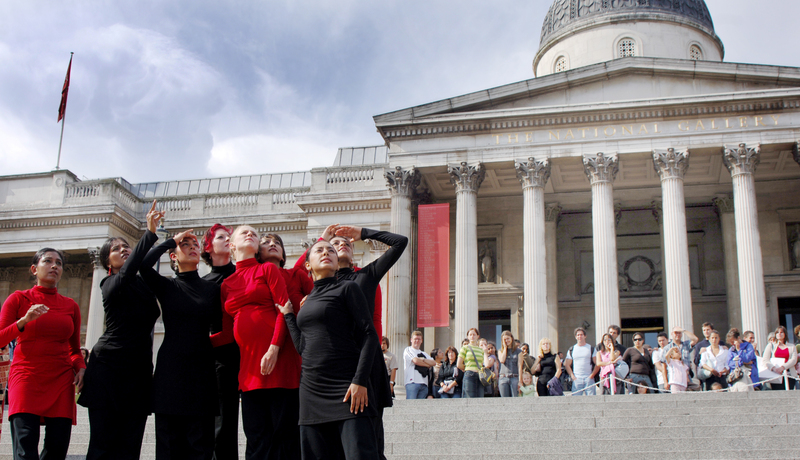 It was presented from 10-13 August, as part of this three-week festival of spectacular outdoor performances. 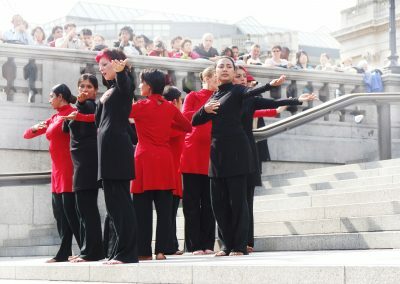 This production invoked the stories and celebrated the dynamism of Asian woman in a new site-specific choreography by Chitra Sundaram, including classical and contemporary dance, movement, as well as folk and festive dance. 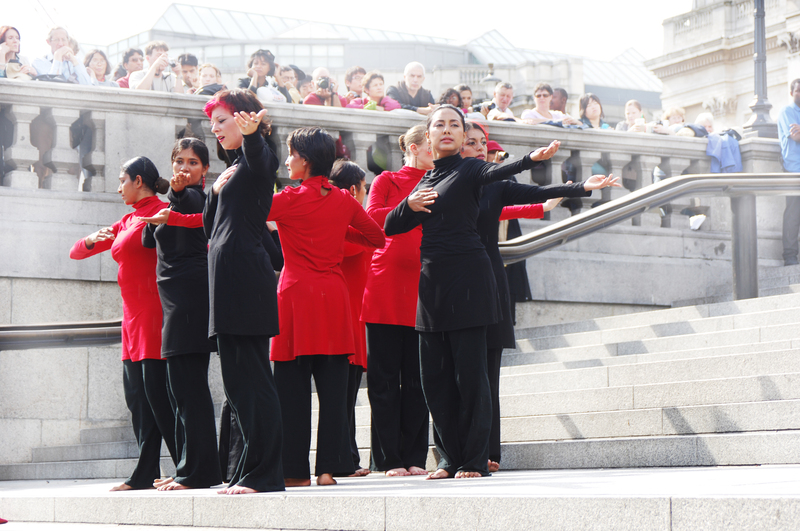 The narrative within the piece was constructed upon the theme of struggle of Asian women, in India and in London. 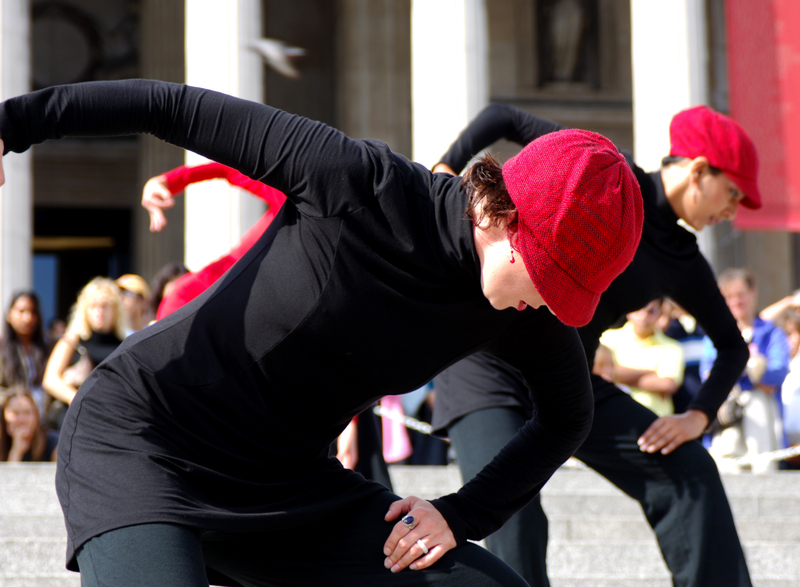 the artistic team explored the sociological angles in some of the stories of the Indian women’s movement. It was an uplifting tale of enduring spirits. Dancers: Magdalen Gorringe, Rachel Waterman, Jesal Patel, Kavya Kaushik, Divya Kasturi, Amina Khayyam, Prarthana Purkayastha, Jasmine Simhalan and Jennifer Irons. 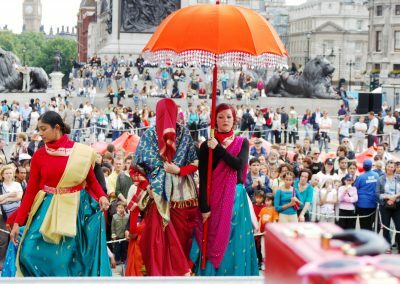 Mayor of London, Arts Council England, London Borough of Camden, London Learning and Skills, European Union Social Fund, South Asian Dance Alliance.